Both of these stamps sets were not an immediately "must have" for me when they first appeared in the current catalog. But after seeing so many beautiful cards made with both sets, I finally broke down and added them to my stash and I'm so glad that I did! The best part of this background stamp is that there is a matching embossing folder! 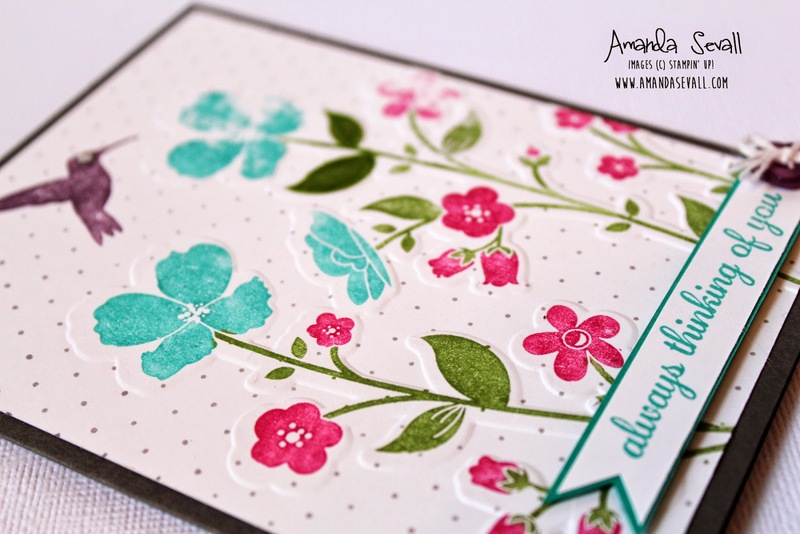 Makes it easy to make a simple, stunning card that is finished without a lot of effort. I used markers to stamp the image and finished it off with a sentiment from a hostess set that retires soon and a few small embellishments.